1. I am sometimes asked, as do I ask myself, what makes for a A+ and not 'simply' an A. It does bear mention that I believe in my full review lifetime, I've given a total of two or three A+ gradings. One of those being this LH offering's Maduro cousin. You may read that review HERE. Nevertheless I have only just recently discovered the reasoning behind the + of an A+ -- somewhere in my experience with the stick, I need to audibly say "wow." 2. I am not completely unattached to Lavida Habana Premium Cigars company. I will forever look to be a part of what I believe in. I just thought you gentlepersons deserved my forthcomingness. That said, something else I shall forever do, is call a spade a spade. A turd, a turd. So on, and so forth. That, in turn said, I tend to back only the very best. Because why not? 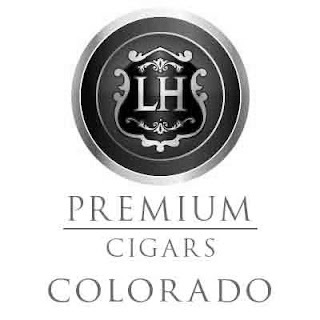 Courtesy of LH Premium Cigars. I plucked this cigar from my NEAR FRIGGIN' EMPTY humidor and, as I removed the band, "Wow." A ridiculously smooth and supple wrapper. I wish yous could all feel this. There are veins, one or two, but you can't feel them when you finger the thing. There too are spider veins here and there, and near everywhere, to no detriment to smoov. Very tight seams, and even to boot. Great sheen, a lively but not drenched oiliness. Just a splendid hand-feel. The 52 ring gauge does push at every border of my comfort level, but the thing just feels so nice. Very nicely appointed cap. Like the Maduro of the line, this one's unfinished foot is not slobbishish, but instead a well quiffed pffft. Complexion-wise, we're looking at a golden orange undertone to a rich and creamy mocha top. Ye Olde Charmin Test shows a nice even give to a nice evenly packed medium+ firmness. Shnoz consists of barnyard, seasoned wood, leather, and a dusty sweet spice. Nibbling off the cap, a medium and very smooth draw yields creamy cirtus cut with maple notes and a white pepper'd cedar. Nice leather backing to the cold pull, which is fairly complex and lingering. Toasting lets loose deeply roasted vanilla notes and no shortage of maple. Some cedar, as well -- very woodsy. The first hot pull is of a cinnamon addition to the maple. I say maple to mean the wood and its sap, not no one's Aunt Jemima. I can also say a crisply seasoned cedar balances that moisture and sweetness. A dark bread is there, too, as the woods subdue. A note of vanilla weaves about and in and out. Second hot pull is retro-haled brings a knee-jerk of "red pepper" but I believe it's a deepening of cinnamon with an addition of nutmeg. Yep, dat's it. A third hot pull adds softwood -- a pine note -- to the woodshed. Leather warms. Vanilla holds and its creaminess lends to a very nice mouth-feel and medium+ body. We'll say medium fleshes out the profile for strength and flavors, just because it's too soon to not say that. Burn is even and correcting off the unfinished foot. Burn-line is at medium. Pace is slow but smolders off a nice amount of foot-smoke with woodsy and vanilla aromas. Ash is a medium grey and oily enough to be dense. Why, they're in the trunk. Get it?!?! Ash is the same, firmness of pack and draw both hold. Burn is a tad wavy but far from Touchupville. Foot-smoke has increased and the cinnamon is there now, creating a bit of a tickle. The cedar sharpens and heats now. To balance, the cream aspect of the vanilla sweetens. Melon is very much there. A honey -- a light floral one -- distinguishes from the molasses. Let's readjust the profile to a -full flavor, medium+ body, -medium strength. Right in my darned wheelhouse, that. Lots of flavors to pick out, and a clear head to do it with. That dark bread note now that attaches to the long finish. Vanilla cream, dried fig, maybe a darker syrupy melon than prior, and all that wood. Leather has subdued but is still there at the very end. Ash holds strong, but I roll off an inch to inspect. Surprisingly powdery, but still quite dense. Burn wavers but holds, burn-line medium+. All other construction and nods thereto are the same as previously mentioned. We continue on to coast on a joyride of sorts on our horse/in our car. No changes to report, but also no boredom. There are many flavors to enjoy. At the halfway point, a tea note sets in and dries the palate some, but not egregiously so. Construction softens a tad. Woods dampen and fruit syrups deepen and expand. The honey is full-bodied now, I don't detect molasses. I'd say the trees came back alive and green. Leather rides high now. Sweet spices see the cinnamon and nutmeg both come back to them. The spices are interesting, as they masquerade first as red pepper and now as cocoa. Don't believe them, gentlepersons. All this occurs as the ash darkens a bit and the slight tickle of foot-smoke eases; never having reached irritation. Toasted hickory with a Full City coffee bean hint comes on as the molasses returns. Coffee disappears almost imediately, but is an interesting sucker-punch. Flavor at a solid full now. Tea remains and is sweetened to a moistened mouth-feel by touches of vanilla. Leather and sweet spices carry, copse of trees returns to woodshed as a very complex undertone. Smoke has stayed cool throughout. Medim+/Full, I'm comfortable with a'calli' it. Burn never completely evens out, but never approaches needing a retouch. Burn-line never is razor-thin, but never wider than is perfectly acceptable. Packing softens, but does so evenly and without issue. Draw is spot-on, always. As I ride whatever the heck I'm riding off into the sunset, pine rises above maple, hickory, and cedar. (In that particular order.) This happens on a nice leather which also backs the balancing figs, plums, and sweet spices. Water. I had nada, and was fine with that. Tell your local B&M to carry LH Premium Cigars. Then tell me about it. Then take a walk, you look greyish.